06:30 am Departure everyday in the morning from Istanbul. We drive by our bus to Gallipoli where you will get information about the naval battle that took place in the Dardanelles prior to the army landings. 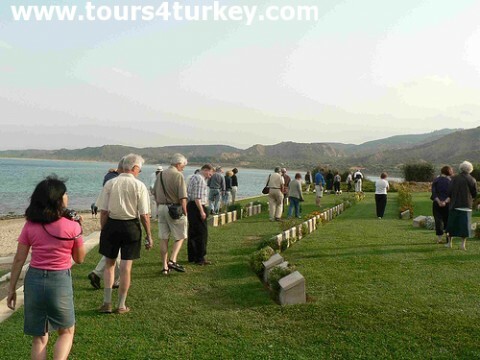 The Gallipoli tour continues to the Kabatepe War Museum, which contains relics from the battle including original diary extracts and letters. Also you will visit the Lone Pine Australian Memorial, Johnston''s Jolly and Chunk Bair New Zealand Memorial. After visiting the Kilitbahir fortress, which was built in 1453 by Mehmet II, the Conqueror (to honor his successful siege of Constantinople) Return to Istanbul after the tour. Day trip of Gallipoli from Istanbul ends with drop off to your hotel.